Riding on the incredible success of their 212X, Yamaha has unleashed the all new 242X E Series for 2018. 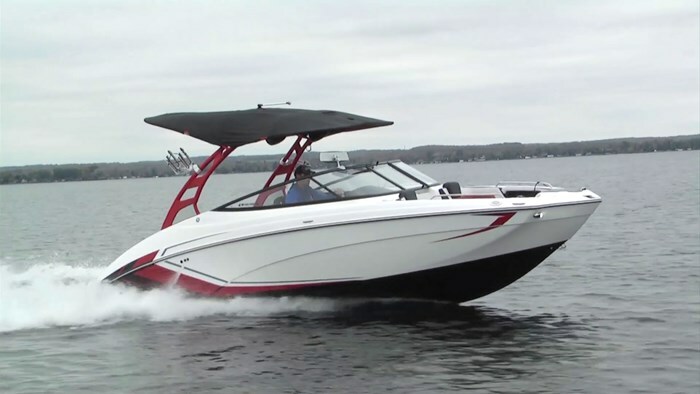 Designed for watersports focused families with all the must have wake features along with incredible performance, cutting edge electronics and all jam packed into an incredibly fun to drive 24’ package. The aesthetic appeal of the hull cannot be denied with a wind-swept graphic in the hull that leads effortlessly into the colour matched waterspoprts tower. 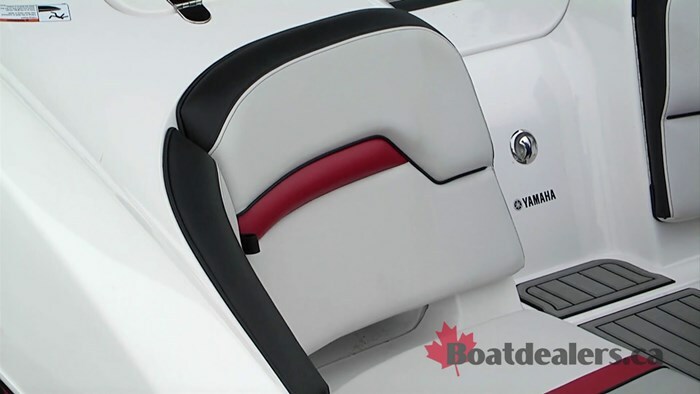 Yamaha has done a phenomenal job of bringing the sexiness of the hull up onto the deck and through the tower itself. 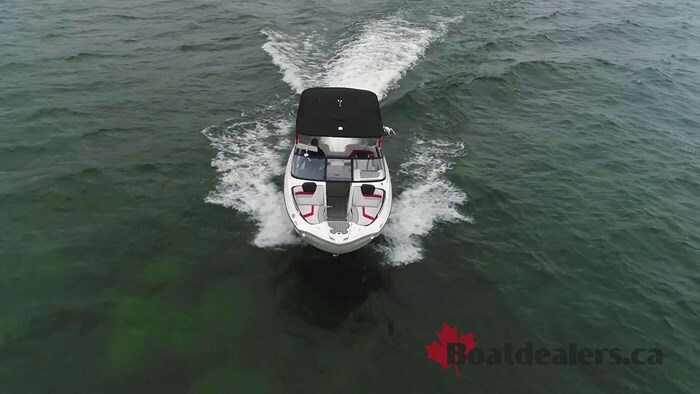 The interior is ultra-luxurious with marine grade teak style carpet, an enclosed head compartment, portside entertainment area with a slick fold down table and dual reclining captain’s chairs with 180 degree swivel. 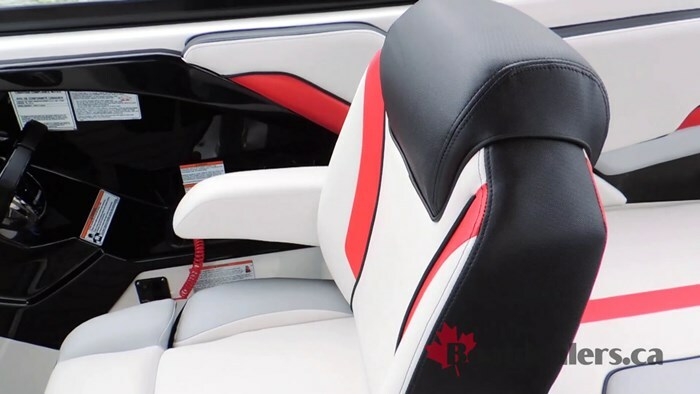 Even the hinges that grant access to the many storage compartments scream Yamaha quality. And if you need a removable cooler – yup, she’s got one of them as well. The nucleus of this incredible machine has to be Yamaha’s all new 12.3” Connext Helm Control System. Featuring a touch screen with 1920 x 720 resolution the screen is way brighter than a smartphone – even in those direct summer sunlight moments. Using the Connext System is simple – use the quick access buttons at the base of the helm or the conveniently located Connext joystick or just use the touch screen itself. The list of critical information monitored on the Connext system is endless but rest assured, if you need to know it, Yamaha put it there. 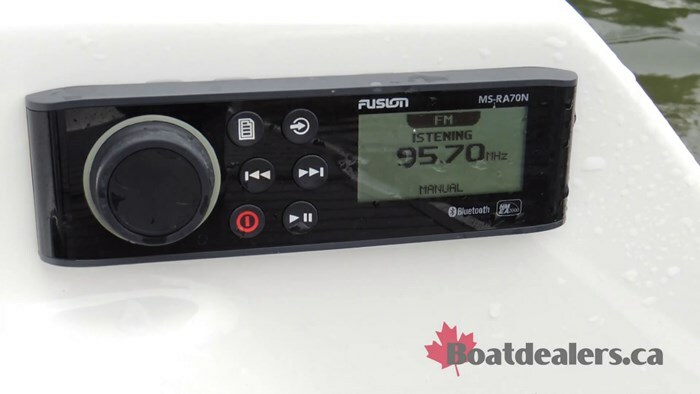 Connext is also the center of the entertainment for the boat with all stereo functions, Bluetooth connectivity and USB connections right here. Connext also features a full featured GPS enabled nautical chart. Simply spot the icon that is your boat on the chart, program to your destination or leave a trail of bread crumbs to show you where you’ve been. When anchored Connext automatically goes into ‘float mode’ which monitors, among other pertinent information, battery voltage and water depth. 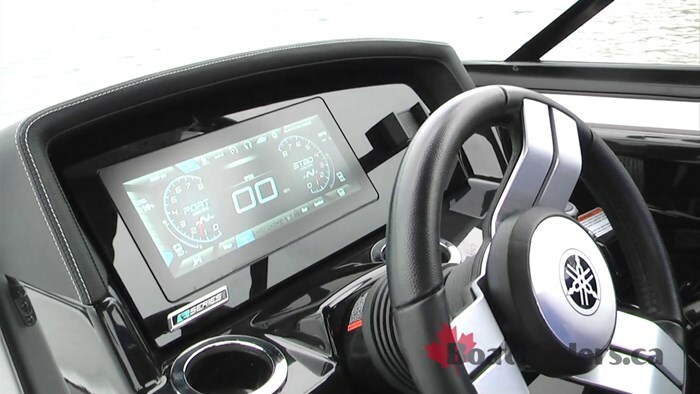 The Connext Joy stick provides quick access to key navigation tools (& stereo volume) and the joy stick also houses Yamaha’s Cruise Assist and No Wake Mode features. 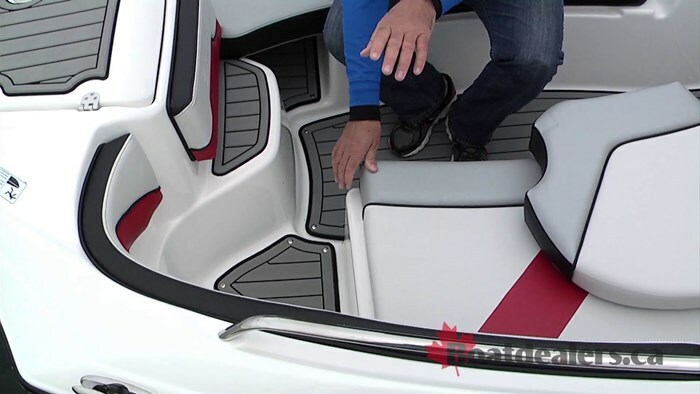 Yamaha has also introduced their patent pending SurfPointe technology. After months of working with athletes and engineers to find the ideal jet-drive nozzle position for the cleanest face on the perfect wake with a powerful surf pocket SurfPointe was borne. 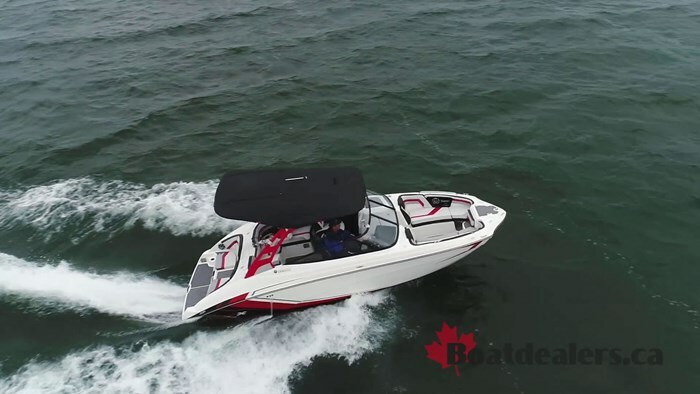 The result is incredible rideability with zero compromise on boat handling or performance. 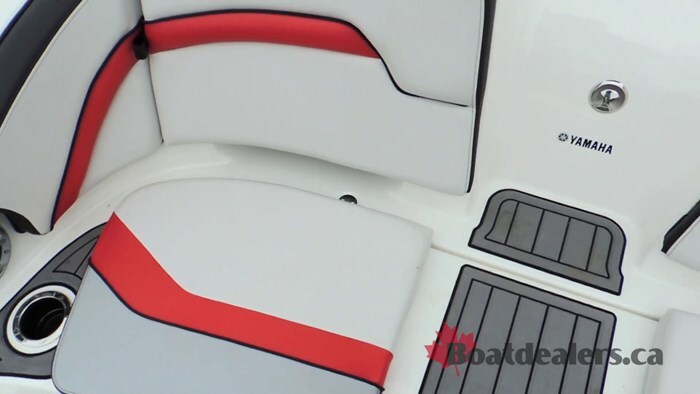 The painted watersports tower itself can quickly be folded for storage or managing bridge heights and the tower incorporates a bimini top as well as a solar trickle charger. There’s a Wet Sounds package including dual amps, sound bar, sub-woofer and speakers generously distributed throughout the cockpit. 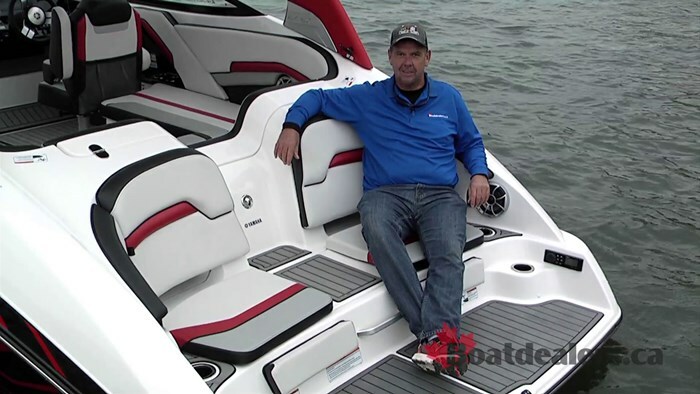 The transom of the boat is all Yamaha with their incredible two tier lounging layout, stereo remote, bracket for the entertainment table, easy to use reboarding ladder and Yamaha’s patented clean out ports. The new 242X E Series is a power packed machine in every aspect. She will satisfy the needs of most watersports enthusiasts while delivering exceptional value for endless days on the water.